When the United States recognized Jerusalem as Israel's capital, Israelis hoped other countries would follow suit. Instead, the move has created a backlash. The latest setback threatens the contested city's hopes of hosting the 2019 Eurovision song contest — an affair that has become something of a national obsession. The Jerusalem recognition, warmly welcomed by Israel, appears to have triggered a series of unexpected diplomatic fiascos. Earlier this month, Argentina pulled out of a highly anticipated exhibition soccer match with Israel after the government moved the game to Jerusalem. Prince William, set to visit next week, has listed Jerusalem's Old City as part of the "Occupied Palestinian Territories" on his schedule. And now, the city's hopes for the beloved Eurovision finale are fading. "There is a greater concern this year than any other year I can remember about the political backdrop surrounding Eurovision," said William Lee Adams, who runs a popular Eurovision blog. "Many Eurovision fans build their whole year around a trip to Eurovision, and just given the nature of what's going on their ideal has been tarnished." 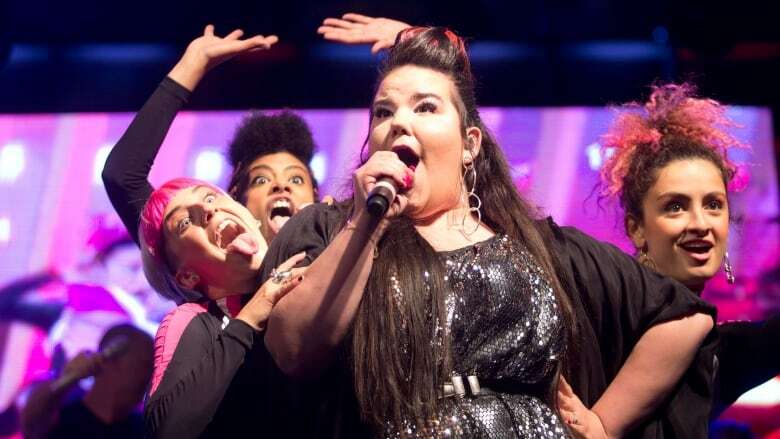 Israel won Eurovision last month with a flashy pop tune called Toy by the charismatic, previously unknown singer Netta Barzilai, who dazzled viewers with her feminist lyrics, unconventional appearance and signature chicken dance. Her May 12 victory won Israel the right to host next year's Eurovision contest. But the celebrations were tempered by continued bloodshed along the Gaza border, as well as the controversial move of the U.S. Embassy to Jerusalem two days later. More than 120 Palestinians have been killed by Israeli fire since weekly protests began in the Gaza Strip in March. Some 60 people were killed on May 14, marking a jarring contrast to the Israeli jubilation over the embassy move and the Eurovision victory. Israel says it is defending its border against mass infiltrations by Palestinian militants. But the military has come under international criticism because of the large numbers of unarmed people shot by its troops. Israel is also confronting an international activist group calling for boycotts against the Jewish state. Supporters say it's a way to promote Palestinian rights through nonviolent means, but Israel says the campaign masks a deeper aim of delegitimizing or even destroying the country. The so-called BDS group — for Boycotts, Divestment and Sanctions — has called on the European Broadcasting Union, the contest's sponsor, to boycott the Eurovision contest in Israel next year. 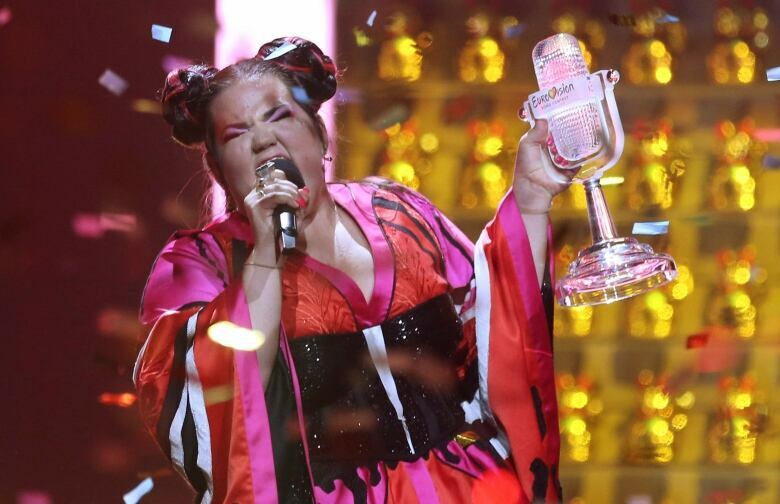 "This contest must be boycotted to avoid complicity and business-as-usual with this regime and to avoid irreversibly tarnishing the Eurovision brand with Israel's egregious human rights record," the group said. Activists had targeted Barzilai and her song ahead of this year's contest with a campaign calling on voters to award her zero points. But win she did. The winning country traditionally hosts the contest the following year. But exactly where the show will be held remains an open question. In Europe, capital cities have usually played host. But the city Israel considers its capital — Jerusalem — is not recognized as such by most of the international community. Just two countries, Guatemala and Paraguay, have followed the U.S. and moved their embassies to Jerusalem. Hosting the competition in Jerusalem could present a predicament for the public broadcasters that make up the European Broadcasting Union, sparking criticism that they are taking sides in the Israeli-Palestinian conflict. Israel is expected to present four cities as potential hosts, including Jerusalem and Tel Aviv. Will politics, religion affect decisions? Israel captured east Jerusalem in the 1967 Mideast war and annexed the area in a move that is not internationally recognized. Israel considers the entire city to be its capital, while the Palestinians seek east Jerusalem as the capital of a future state. Israel held the Eurovision contest in Jerusalem following its previous victories, most recently in 1999, without incident. But following the snub by Argentina, Israel is backing off its insistence that the contest take place in the city next year. Argentina cancelled the much-awaited match just days before it was to be played, after Israel moved it from its original location in Haifa to Jerusalem, triggering angry Palestinian protests and calls for soccer fans to burn T-shirts of superstar Lionel Messi. Israel said Argentina had cancelled because its players received threats from "terrorists." Israel's outspoken culture and sports minister, Miri Regev, who was the driving force in moving the soccer match to Jerusalem, has also pushed to bring Eurovision to the holy city. "The state of Israel has the right to decide where Eurovision will be held. I will recommend to the government and to the prime minister that it won't be right to host Eurovision if it will not be held in Jerusalem," Regev told Kan Bet radio. Sensing that the Eurovision contest could see the same fate as the Argentina game, Israel has taken action to tone down what could be seen as the event's politicization. 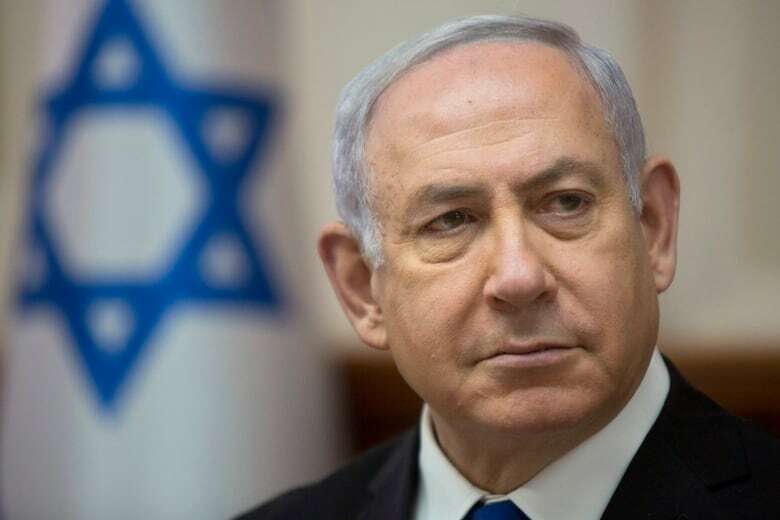 After consulting with top aides, Israeli Prime Minister Benjamin Netanyahu resolved that the government would not intervene in the event. Israel's internal culture wars have also seeped into the Eurovision show, with an ultra-Orthodox member of Netanyahu's coalition government urging the government to prevent the sabbath from being violated. The finale usually takes place on a Saturday night, shortly after the end of the sabbath, meaning that preparations for the show could violate the sabbath. The EBU has called for keeping politics out of the contest. "The EBU insists that every host broadcaster takes all necessary steps to safeguard the non-political character of the event," it said. According to the EBU, initial discussions about the contest began this week and the host city is set to be announced by September. Israel has fought to stave off any inroads by the boycott movement, making lists of activists and denying them entry to the country. It has formed a government ministry whose primary mission is to combat the group. The movement's successes have been mixed. It takes credit for persuading a slew of musicians not to perform in Israel. But many others still do and Israel recently hosted the first leg of the Giro D'Italia, the first time the cycling event has been held outside of Europe, despite fierce BDS opposition. The first stage of the race took place in Jerusalem.